level. The result will be published on 1st April. One who clears the cutoff mark will be promoted from unemployed status to employed status. Before analysing what will be the range of cut off marks for each state, let us discuss the criteria which are going to decide the cutoff marks. Of course, only when there is a vacancy , you can fill it. 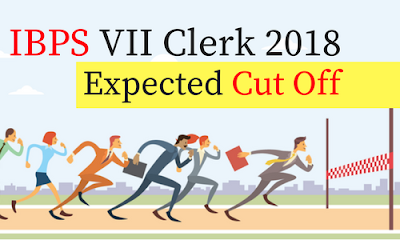 Cut off marks depends on the number of vacancy of a particular state. The state with more number of vacancy will have less cutoff mark compared to the state with less number of vacancy. The state with the most number of vacancy is Tamil Nadu and state with least number of vacancy is Mizoram. Again, of course, people will score more mark if the level of the question paper is easy. Cut off will be high, when the question paper was easy. At the same time cutoff will be less with tough paper. As I told in the beginning, since the paper is easy to moderate level, the cutoff will surely reflect it. Now a days bank exam competition is more. Everyone needs a white collar and 9 to 5 working hours job. Moreover, ladies are preferring this job than any other job. If huge members are competing for the range of cut off will be a sharp curve than a linear one. Above mentioned cutoff is just expected one, based on the previous year cutoff marks and available vacancy as of now and complexity of the question paper. If vacancy increases further, then cutoff will decrease. Original cut off marks will be released by IBPS on 1st April 2018. Till then you have to be patient and should prepare for the forthcoming exams. All the best for all the banking aspirants for upcoming results and exams from Bank Exams Today Team!! !